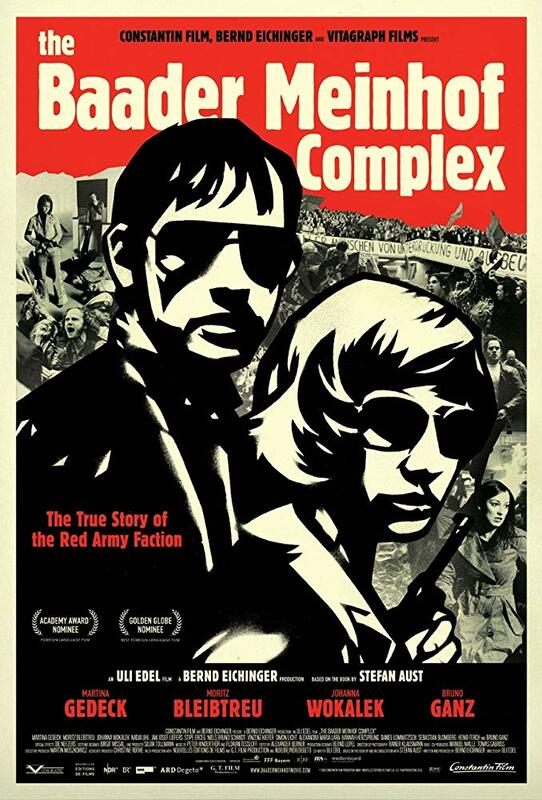 A look at Germany’s terrorist group, The Red Army Faction (RAF), which organized bombings, robberies, kidnappings and assassinations in the late 1960s and ’70s. The second of three films set in Post War Germany. Germany in the 1970s: Murderous bomb attacks, the threat of terrorism and the fear of the enemy inside are rocking the very foundations of the yet fragile German democracy. The radicalised children of the Nazi generation lead by Andreas Baader, Ulrike Meinhof and Gudrun Ensslin are fighting a violent war against what they perceive as the new face of fascism: American imperialism supported by the German establishment, many of whom have a Nazi past. Their aim is to create a more human society but by employing inhuman means they not only spread terror and bloodshed, they also lose their own humanity. The man who understands them is also their hunter: the head of the German police force Horst Herold. And while he succeeds in his relentless pursuit of the young terrorists, he knows he’s only dealing with the tip of the iceberg.